Orion capsule, with its eye catching solar arrays deployed (Credits: NASA). In preparation for the 2012 ESA Ministerial Council a French-German working group, tasked with coordinating contributions to the European Space Agency (ESA), announced their support for ESA participating in NASA’s Orion Multi-Purpose Crew Vehicle (MPCV). This participation would fulfill ESA’s obligations for operating contributions to the International Space Station (ISS) between 2017 and 2020. “An independent spacecraft cannot be realized for the amount of money which is available,” said DLR Chairman Johann-Dietrich Woerner. “The module for Orion is, so far, the only one which can be realized within the 450 million.” ESA allocated a budget of 450 million euro for an Automated Transfer Vehicle (ATV) derived development. Due to the fact that the ISS lifetime has been extended to 2020, ESA was required to find a means to offset their portion of the common station operating costs. Until 2015 these obligations were covered by the delivery of fuel and cargo to the ISS with the ATV, an expendable resupply cargo vessel. The MPCV is NASA’s vehicle that will take astronauts beyond low Earth orbit. 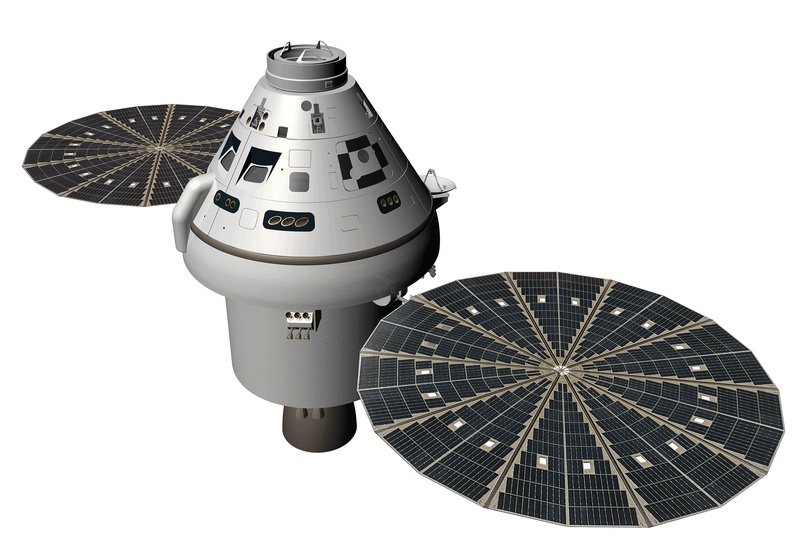 NASA proposed that ESA could provide the service module for the MPCV. This technology was previously developed for the ATV by Astrium GmbH. The service module provides propulsion, consumables, and power to the crew capsule and is discarded shortly before re-entry. The recommendation of the French-German working group follows earlier disagreements of several ESA member states, who object to ESA being designated a subcontractor. They fear that such a status would not generate enough public interest or recognition of ESAs involvement in the project. The French space agency (CNES) maintains an alternative to the MPCV, which is known as the Versatile Autonomous Concept (VAC). The VAC is a modular development which allows for multiple mission scenarios in Low Earth Orbit. One possible mission scenario is the deorbiting of large pieces of space debris. The working group continues to refine their position in preparation for this year’s ESA Ministerial Council. Another major subject of their work is launcher development policy which will determine the future of Europe’s Ariane launcher.